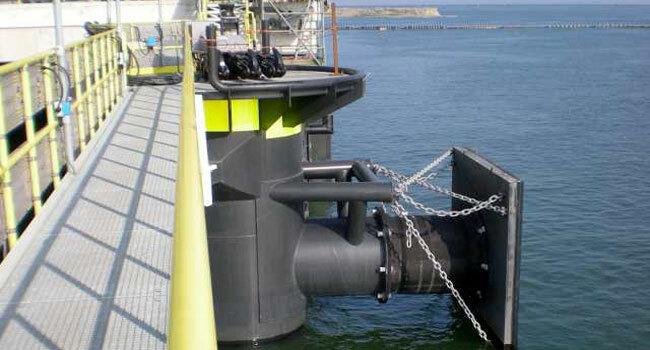 These fenders combine excellent energy absorption capacity with low reactions, turning out to be one of the most efficient types from all existing systems. Due to its geometric shape, the elastomer will perform with great stability regardless of the type of force or load to which it is subject, allowing deformations of up to 52%. Fender systems are available with a single rubber fender, with two ribber fenders or even with three, depending on energy calculations and the fenders’ final layout. Also their design and installation can be both horizontally and vertically depending on certain parameters (type of dock, racing tides, etc). They are recommended for all types of shipping berths, but especially for cases in which the approach angles and docking are high with high energy to be absorbed.